Canvas will build out its mobile apps to facilitate access to core functions. 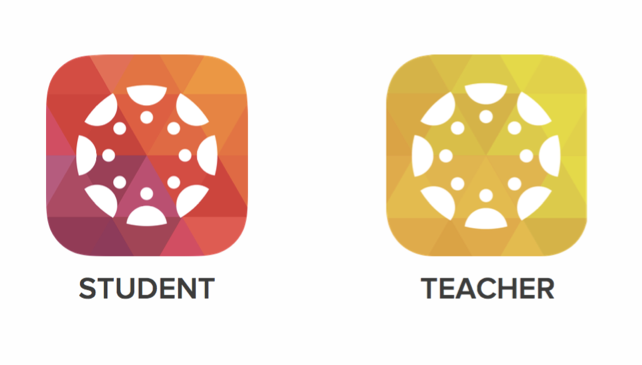 What’s new is a deliberate focus on given sets of users – Canvas will have separate mobile app for students, and for instructors. These apps will focus on those functions which are relevant for each group, in a mobile setting. Canvas will also facilitate access to content off-line – this is great news for anyone traveling who may have unpredictable internet access. 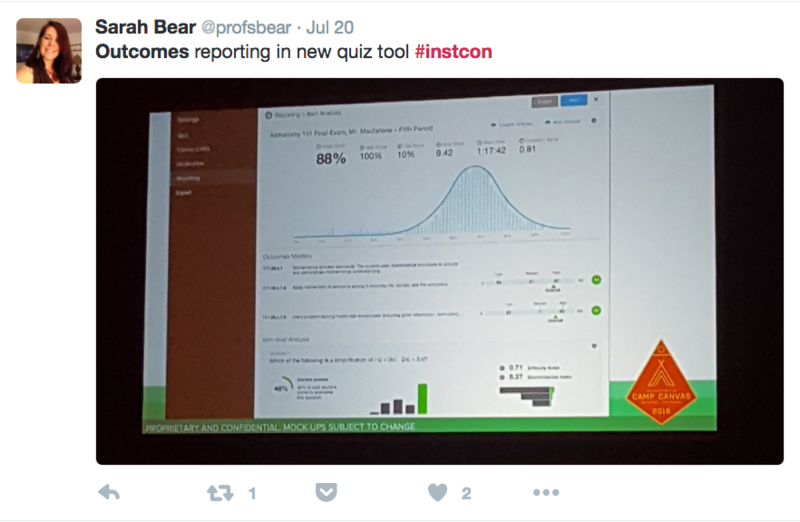 What stood out here was a commitment to a new Quizzing engine, with new question types and far greater flexibility. Additionally, the Outcomes function, which allows instructors to map assignments and assessments against specific learning outcomes, will be integrated much more deeply throughout the Canvas platform. And lastly, the Canvas data service continues to be built out, allowing for greater insights into trends and patterns within the Canvas environment. Canvas is taking some first steps in the direction of personalized learning by introducing the notion of Mastery Paths. This will allow instructors and course builders to map out multiple paths towards given learning outcomes; and to direct students along more than one potential learning trajectory. For example, students who perform poorly on a certain assessment might be routed back to a review of previous, foundational material; while students who do particularly well could be routed to optional additional enrichment activities. Or the learning path might branch at a given point, to allow students to demonstrate mastery of a given outcome through a variety of assignments/assessments. The important announcement for Dartmouth, under this themes, was a tight integration between Office 365 and Canvas. In the very near future, we will be able to seamlessly integrate files from Office 365, and instructors and students will be able to easily exchange files for assignments. There will also be a tight integration of Microsoft OneNote, which will give students (as a class, or in groups) a collaborative editing and writing space. InstructureCon was larger than ever this year, reflecting Canvas’ continually growing share in the LMS market. We’re optimistic that the directions in which Canvas wants to grow will continue to provide a great toolset and optimal user experience for instructors and students at Dartmouth.